Organic. Raw. Natural. Low Glycemic Index. Healthy. These are all adjectives you may have heard used to describe agave nectar (also known as agave syrup). The adjectives I would use to describe the agave nectar marketers are: Clever. Brilliant. Cunning. Shrewd. Deceptive. Agave nectar, or the sap from one of several species of the agave plant, has been used in ancient traditional cultures for centuries. These cultures would use the sap from the leaves of the agave plant to dress wounds and fight skin infections. It was perceived that the fresh nectar from the agave plant was not just healthy, but also therapeutic. Fast forward to the 1990’s when agave nectar becomes commercially available. This smooth, sweet liquid has been touted as a panacea for diabetics and individuals wishing to avoid the ill-effects of refined sugar and high fructose corn syrup. But these sugar-coated proclamations are not as sweet on the inside as they are on the out. You see, the agave nectar that is commercially available in your grocery store is much different than the agave nectar that native populations used on their wounds for its healing properties. Despite how marketers have cleverly labeled bottles, agave nectar is neither raw nor natural, just as high fructose corn syrup is not natural or raw. 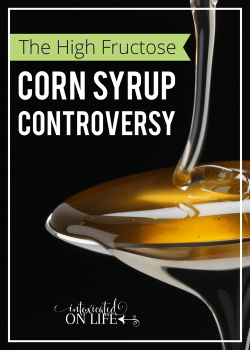 Sure, agave nectar originates from a raw, natural plant, but high fructose corn syrup does too. Both of the substances originate from a whole plant, but when they reach your grocery store shelves they have been heated and treated and morphed into something quite different from what they began as. There are a few different ways of producing agave nectar. Agave nectar is produced by heating up the nectar (often to temperatures exceeding 140 degrees) found in the leaves of the plant and then adding enzymes and chemicals. 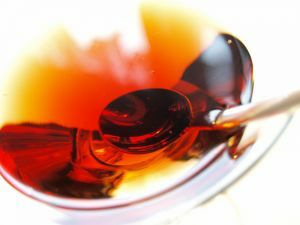 This changes the enzymatic structure of the nectar, giving you a substance that really should be called “high fructose agave syrup.” Before final packaging the syrup is sent through an evaporator, thereby reducing the amount of water in the agave nectar and increasing the sugar content. Some produce agave in a different way using low heat. A US patent document explains this process, in one place it succicently explains: “It is an object of the present invention to produce a high fructose content syrup through the processing of milled agave plant pulp.” Agave nectar in this case is made from the starch of the giant pineapple-like root bulb, not from the sap found in the leaves of the agave plant. In their statement, the patent writers themselves explain that what they are deriving from the agave plant is a high fructose syrup. And indeed, commercially prepared agave nectar is high in fructose. The amount of fructose varies quite a bit between brands and depending on how the agave nectar was produced. Some studies report a 70- 85% fructose content whereas other sources claim there is as much as 90% or 92%! The fructose content in agave is higher than what’s found in honey, maple syrup, and even high fructose corn syrup. For individuals trying to maintain diets low in fructose, agave nectar is certainly not the answer. High in Fructose? Why is This a Problem? In my last post in this series, I explained why diets high in fructose were problematic: increased blood triglycerides and LDLcholesterol, non-alcoholic fatty liver disease, gout, insulin resistance leading to diabetes, are just a few of the havoc that fructose in excess can wreck upon your body. The small amount of fructose that is found in fruits when eaten in moderation (and preferably seasonally) is not a problem, but our modern american diets are packed with fructose! To read an in depth analysis of the dangers of fructose I encourage you to check out this post. Some natural sweeteners that are also fairly high in fructose such as honey (40-70% depending on the type), have antioxidants that help to mitigate some of the negative effects of their high sugar content. 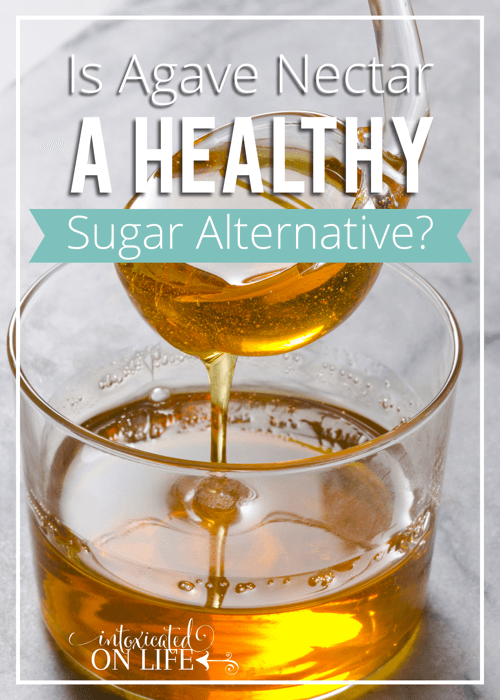 A fascinating study published in the Journal of American Dietetic Association found that along with refined sugar and corn syrup, agave nectar contained “minimal antioxidant activity.” Raw cane sugar even beat out agave in it’s antioxidant capacity. 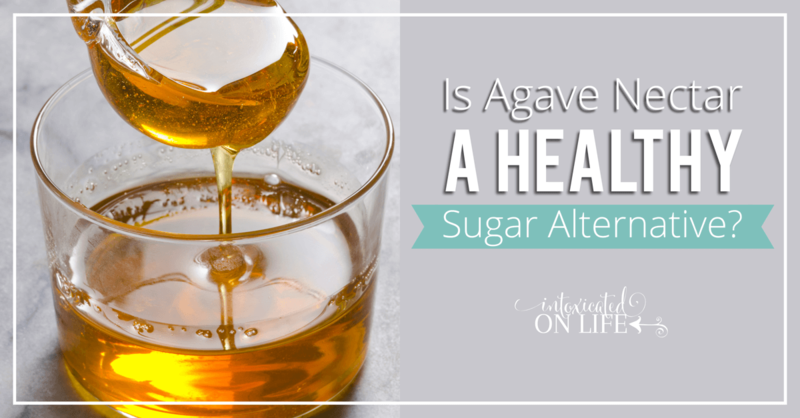 It’s important to note that multiple types of agave nectar were tested and the results revealed they all had had similar levels—similar to that of refined sugar and corn syrup. Humans should not be consuming the amount of sugar—particularly fructose—that we currently consume. Humans in a more natural state would only eat fruits when seasonally available and honey very rarely. The refinement of sugar (HFCS, sugar cane, agave, etc) has not done us any favors. Though agave may be called “natural and raw” it is not a good traditional food to add to your diet. One tablespoon of Agave nectar contains 60 calories, 16 grams of carbohydrates, 0 grams of fat, and 0 grams of protein. This is virtually identical to the nutritional profile of sugar. The major difference being that sugar is composed of the disacharide sucrose and agave is primarily composed of the monosacharide fructose. 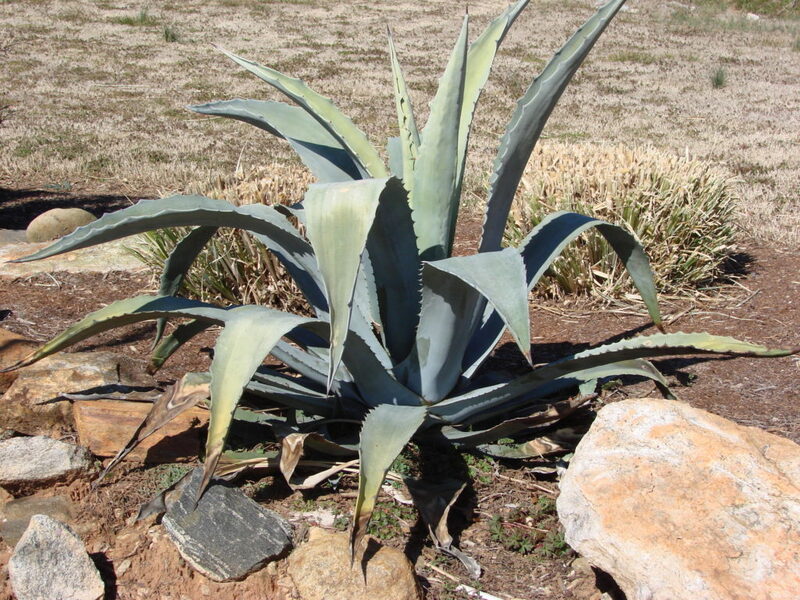 Agave is a low 32 on the glycemic index, but this is simply because because it is so high in fructose. Despite being low on the glycemic index, I would not recommend anyone with insulin resistance or diabetes to make this a part of their regular diet as it carries with it all of the same implications as consuming high fructose corn syrup and is potentially a much more dangerous substance due to its excessively high fructose composition. Another important point to note about agave is that as the Weston A. Price foundation reports potential problematic phytochemicals called saponins are found in abundance in the agave plant (saponins are found in other foods we eat including alfalfa, legumes, beans, and others). Saponins are toxic steroid derivatives that have the potential to disrupt red blood cells. They may also producing diarrhea and vomiting. Some advice that due to the high saponin content, agave should be avoided during pregnancy because it may contribute to miscarriage as it can stimulate blood flow to the uterus. This is a pretty serious allegation, but try as I might, I have found no documented studies that demonstrate the saponins in agave cause miscarriage or any of the other deleterious side effects above. For every 1 cup of sugar us 2/3 cup of agave and reduce the liquid content in your recipe by 1/4 cup. Reduce your oven temperature by 25 degrees when baking. Use parchment paper for your baked goods. Agave nectar tends to cause baked goods stick more readily to pans. Mix your agave nectar with a liquid or fat prior to adding remaining ingredients. If you forget to do this, you may end up with an oily film on the top of your baked goods. Commercially available agave nectar is not a whole food, but a highly processed compound. Agave nectar is a highly concentrated fructose syrup that is virtually devoid of all beneficial enzymes and nutrients. For this reason, I will continue to forgo agave nectar. If you are looking for a natural sweetener that has not undergone any refinement and has a number of benefits including the benefits of antioxidants, raw honey is an excellent option. 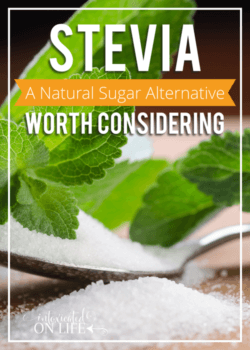 If you are seeking a sweetener that gives you the sweet taste, with none of the negative side effects that sugar containing sweeteners have, I’d encourage you to give stevia a whirl! Thanks for these tips. I might try this sweetner! I had no idea! I saw agave nectar in the store recently and was curious about it so I’m so glad I DIDN’T buy it! This right here makes your whole article worthless. How are you going to write an article on something that you’ve never used? That’s like a history teacher writing an article on science in a sense. Do you try out gasoline in your food in order to know it isn’t good for you? What about horse manure? There are a number of things we know are not healthful things for us to ingest, not based on our personal experience, but based on good solid research. This post is well referenced. The links throughout are primarily linked to studies in peer reviewed journals. Factual information trumps personal experience here. Amazing how the US food industry can figure out how to make pretty much anything toxic! I bought one thing of agave ages ago for my tea, but then I realized it wasn’t good for you and have been trying to get all my loved ones to top using it. Why is everything so bad for you these days? Because we don’t eat food the way it comes from nature…we process it, treat it with chemicals, and process it some more until it’s not even a recognizable food substance! Thanks for letting people know! I have known this for a while, and so I avoid agave. I love this series! I was told to avoid agave by a friend who warned me that she’d read it could cause miscarriages. This is good to know! Yes, I’ve seen that reported by some, but like I said in the post I can’t find any actual studies that indicate that is the case. If I were pregnant, I certainly would err on the side of caution and cut agave nectar. But, really there are so many other reasons to avoid it. Thanks for your kind words and for stopping by Jaime! I admit I do not know much about sugar alternatives and I used to work in diabetic education. Great information. I need to read up on Stevia next. I’ve heard controversy on both sides on that one. I think the controversy primarily arrises in what is added into the stevia. On my stevia post I indicate what is added into the major brands of stevia. I prefer the pure stevia extract, but it’s very very potent! Thanks for your post on agave, it was really interesting. I live in Australia so I guess not all our products are the same. I think if you really want to use agave, grow a plant in your garden and use that! !I was just going to add, about Stevia that I have noticed that every commercial Stevia product I’ve come across had something else as its main ingredient. Usually erythritol or xylitol. I, for one, am sick and tired of commercial companies lying to us and trying to rip us off by selling us a product they claim is something it’s not. Yes, it is hard with stevia. You need to look for PURE stevia extract if you’re looking for something with nothing added. 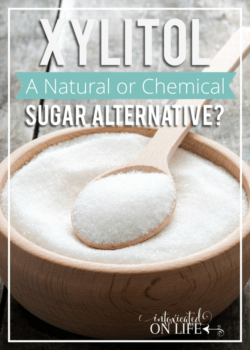 But usually people are looking for something they can bake with and if that’s the case the stevia really really needs something like xylitol that bulks it up. I actually make my own by mixing stevia with erythritol and xylitol. It’s MUCh cheaper than the prepackaged stuff. Hopping over from Nomday Monday. Thank you so much posting the baking tips with Agave Nectar. I learned what might be going wrong with my agave baking.